Beautiful home with a fresh coat of paint in a today's neutral taupe color. 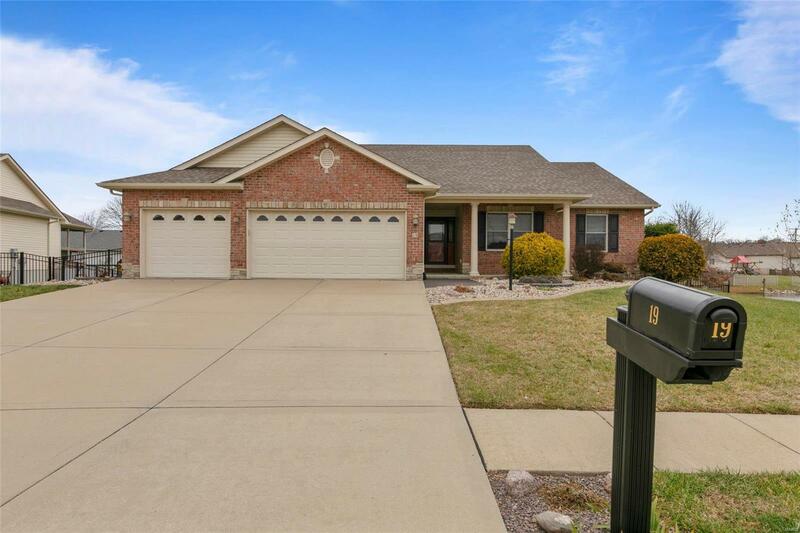 Four bed and 3 bath lakefront home situated on a cul-de-sac. Open floorpan with large great room which show the view of the neighborhood lake. Open kitchen with stainless appliances, hardwood flooring, ceramic tile is leads into the great room and dining area allows for seamless entertaining. Whole house integrated surround sound pipes music throughout the home and onto the deck and garage. Covered deck is peaceful with lake views and overlooks the level, fenced yard. Master suite has walk in closet and large full bath. Two ample sized bedrooms share a full bath. Lower level features a full basement with large family room, full bedroom and bath, tons of storage and much more! Sit out on your covered deck or patio and enjoy the lakeview! Oversized three car garage!